Coming Soon from the Potomac Institute Press: "Al Gray, Marine"
The Potomac Institute Press is pleased to announce that it will soon release the new book, Al Gray, Marine: The Early Years - 1950-1967. The book will be available for sale in January, 2013. Please see below for details. 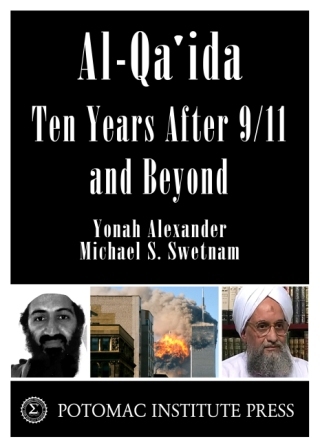 Read more: Coming Soon from the Potomac Institute Press: "Al Gray, Marine"
The Potomac Institute Press is pleased to announce that the first volume in a planned series of monographs on counterterrorism, edited by Prof. Yonah Alexander, Director of the Institute’s International Center for Terrorism Studies, is now available on Amazon.com. The book, Perspectives on Detention, Prosecution, and Punishment of Terrorists: Implications for Future Policy and Conduct, was edited by Prof. Yonah Alexander along with co-editors Don Wallace, Jr., and the late Edgar Brenner. It is a compilation of essays on one of the chief challenges facing society today: persistent ambiguity regarding the legal apprehension, prosecution and punishment of terrorists. For more information about Prof. Alexander, please click here.